The story of Samuel as a child begins when Samuel entered the ministry of God, which was a rare thing to happen in those days. Eli, Samuel’s father was lying down in Samuel’s place when his eyes began to grow so dim that he was blinded. Then before the lamp of God, he went out in the tabernacle of the Lord, towards the area where the ark was located, where Samuel was lying down. Then the Lord called Samuel, and he answered back to the Lord, “Here I am! Then Samuel went to his father, Samuel and said to his father, “Here I am, for you called me” His father then replied back, “I did not call, go back and lay down. Now Samuel did not know the Lord yet, nor did he know the Word of the Lord as it was not yet revealed to him. So God again revealed himself before Samuel for the third time saying, “Here I am, for you called me.” Then Eli began to acknowledge that the Lord had called his son. Then Eli said to Samuel, “Go, lie down; and it will be, if He calls you, that you must say, “Speak, Lord, for your servant hears.” So Samuel went down and laid down in the place of his father, Eli. Then Samuel “grew, and the Lord was with him, and let none of his words fall to the ground, and all of Israel from Dan to Beersheba know that Samuel had been established as a prophet of the Lord. Then the Lord appeared in Shiloh. For the Lord had revealed Himself to Samuel in Shiloh by the Word of the Lord. Next month, (July Newsletter), we will continue with writing about our youth. The youth of the Bible for this month is Samuel from 1 Samuel 3: 1-21. In the coming months there will be additional fundraisers for our youth for their trip to Disneyland. These fundraisers will be held later on in the year. For the month of July we will have Pastor John Perling come up and serve with Pastor Gene Smith. He will be here on Sunday, July 31, 2011. May the Lord richly bless his visit with us here at Shepherd in the Pines. Many thanks to Pastor Eric Kaelberer, our Circuit Counselor for serving with Pastor Gene Smith on Sunday, June 26, 2011. We all here at Shepherd in the Pines Lutheran Church appreciated him being with us as he richly has blessed us. The Tuesday Morning Women’s Bible Study will be held at 11 AM to 1 PM each week. All ladies are invited to come. Please see Sharon Strandberg for more information. Each Sunday morning there is a pre-service prayer group which meets at 8:35 AM for anyone who would be interested in lifting their voices to the Lord in prayer. What a better way to start the week. We pray for the Pastor, our community, the nation, those in need, and for the work of the Holy Spirit. If you would like to join in, please feel free to attend please come to the Sunday School room. Starting on June 16, 2011 there will be no Youth Leadership Training due to our children and youth being on Summer break. The Youth Leadership Training classes will resume on the first week of August at 2 PM. Thank you to all those who have helped support the HELPING HANDS ministry by bringing in food items or donating money. Please pray that we stay mindful of those in need and continue our efforts to help them. We are in need more food items for our food pantry. You may donate food that can be placed in the baskets in the narthex. You may also donate money to HELPING HANDS. Please use the yellow envelope in the pews. 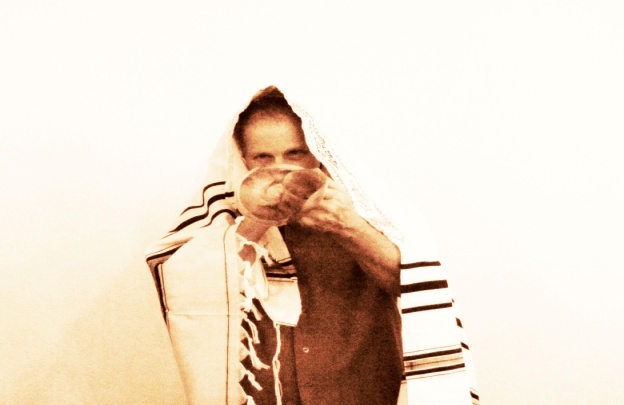 David Strandberg blowing the traditional Shofar. 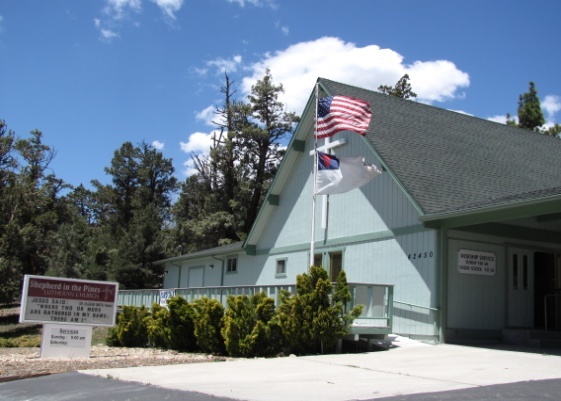 Each month there will be two Christian Synagogue Services. They will be held on the first and third Saturday mornings starting at 10 AM. They are very informative in nature. Please feel free to attend. Each Wednesday morning at 11 AM we have our weekly Bible Study at Nottinghams. We are presently studying the Book of Isaiah. Everyone is invited to attend. If you have any names, and photos of those serving our country in uniform, (Military, Fireman, Police, and for Pat & Sarah Walls who are serving with the Peace Corp.) Please get the information to Bev Grabe to get posted on our board. We now have a suggestion box that is affixed on the wall by the doors in the narthex. Please feel free to write down any suggestions that you may have in the box. A special thank you to David Strandberg for building the box. You can now access Bible Studies that you have missed by going on the web site. If you haven’t already visited our website, be sure to do it soon. It’s amazing how God’s Work can be done in cyberspace. Many new things are going to be added to the website soon. If anyone would like to submit an article for the newsletter, please contact either Sharon Teeter or Tracy Marker. Your input will be gratefully appreciated. We now have a standard menu for fellowship consisting of fruit, vegetables, cheese, salami, crackers, a salad, one crockpot dish and desserts. If you have a servant’s heart and would like to be part of fellowship please contact Donna LaVoire. Please do not bring anything to fellowship if you are not assigned to fellowship that week. This will help us manage the quantity of items served. Also, we need volunteers for set up and clean up after fellowship each Sunday. Please talk to Donna if you are available.